If you don't see the button frame above click here. Here GDE is NOT running on an external server and sending the display back to the Mac. 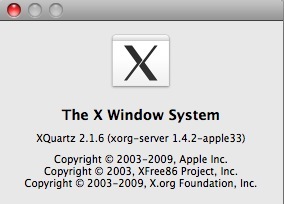 It is indeed running on the Mac under X11. MacGDE and all of its components comes in two forms UNIVERSAL (PPC/Intel) and Intel only. Thanks to Scott Buchanan (www.4dneuroimaging.com) for supplying the universal XView libraries. allowing multiple processors (cores) to be used. This makes everything faster. Therefore, MacGDE 2.6 on will be INTEL only. Also, this version will remove the previous GDE2.2 folder and associated programs before installing the new version. However, I am leaving MacGDE 2.5 universal up for people who need it. 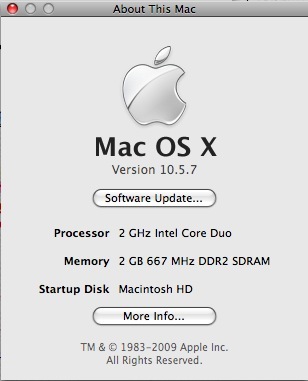 It works upto macOS 10.10 but I have not updated anything in it since 2014. GDE (MacGDE) is a set of programs for multiple sequence alignment and analyses. The programs use an expandable user interface which allows the addition of external analysis functions without any rewriting of code. The system supports several data types, nucleic and amino acid sequences, text, and masking sequence, and three forms of color highlighting. The system has several external analysis functions included for such things as automated alignment, searching, homology recognition, and phylogenetic analysis. GDE was initially ported to the Macintosh by BioLateral (contact Tim Littlejohn with questions about the port) as part of their efforts to bring Unix bioinformatic programs to the Macintosh platform as BioinforMac. In fact, a good way to get many Unix programs already ported to MacOS X in an installer package is to purchase their packages. Otherwise you can download and compile them yourself from various internet sources. Disclaimer: I, Eric W. Linton, have no vested interest in BioLateral. I am maintaining, updating and distributing GDE for the Mac (MacGDE) since I used GDE and GDE's public license prohibits commercial enterprises from distributing GDE, even for free. Biology Department, Central Michigan University, Mt. Pleasant, MI, USA.